The intriguing cultural history of the piano in Australia. 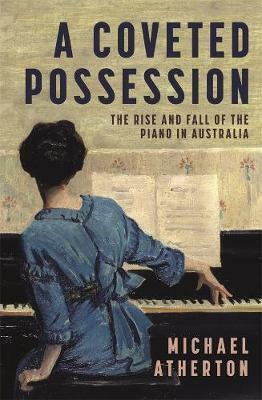 From the instruments that floated ashore at Sydney Cove in the late eighteenth century to the resurrection of derelict heirlooms in the streets of twenty-first-century Melbourne, A Coveted Possession tells the curious story of Australia’s intimate and intrepid relationship with the piano. It charts the piano’s fascinating adventures across Australia - on the goldfields, at the frontlines of war, in the manufacturing hubs of the Federation era, and in the hands of the makers, entrepreneurs, teachers and virtuosos of the twentieth history - to illuminate the many worlds in which the ivories were tinkled.